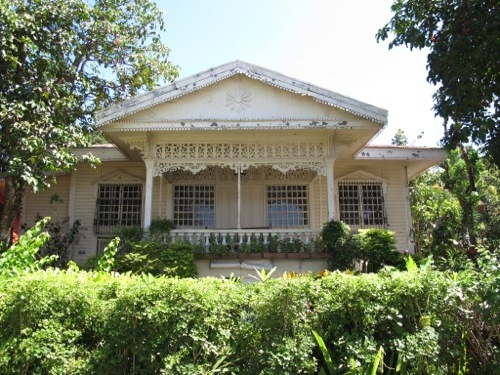 It’s another heritage town just a couple of hour’s drive south from Manila. 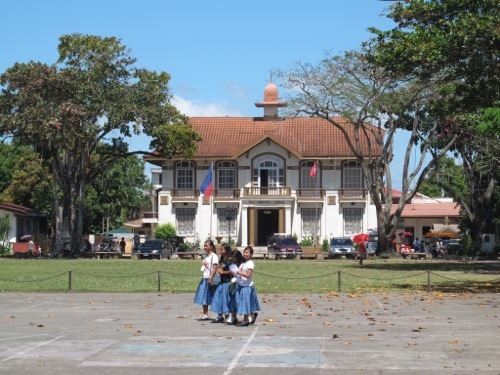 Easily, a day trip that’s easily combined with neighboring towns in Laguna just as equally rich in art, culture and history. Many pre-Hispanic treasures enshrined in the Pila Museum attest to Pila being one of the earlier settlements in the country. We were surprised to find this little-known Plaza Mayor in this old town. 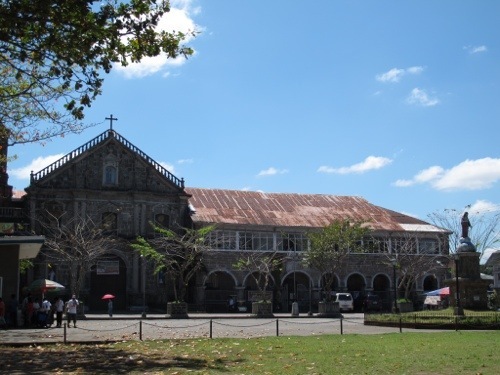 The colonial influence is evident here where a 200 year-old church, a Municipio (Town Hall), and several ancestral, heirloom houses and old trees line the Plaza. 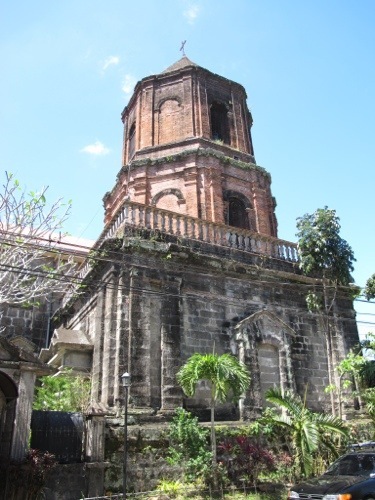 The National Historical Commission has declared Pila as a historical landmark in the league of Vigan (Ilocos Sur), Silay (Negros Occidental) and Taal (Batangas). It’s a wonder very little is known of the place and that this historic town is not top of mind among local tourists. Mercifully, Pila was spared from the bombing raids run by US troops back in 1945 to flush out the Japanese Army. The Church, the Convent, and many of the old buildings and houses of illustrados and prominent families clustered around the Plaza remain standing to this day. If you ask me, I only know it as a street in Binondo where a favorite and oldest restaurant is located. Yes, I’m talking of Toho Antigua Panciteria. (Another restaurant, Ambos Mundos, claims to be the oldest restaurant, but this is another story) I bet I’m not the only one in this sorry predicament. So, who is Tomas Pinpin? This eminent Filipino is responsible for the country’s very first Tagalog dictionary. 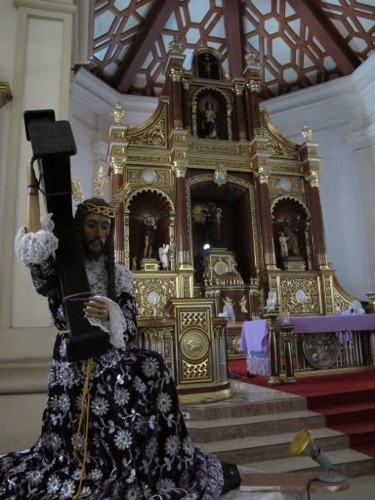 He ran a printing press in Pila, Laguna which printed the first local dictionary as early as 1613. Of interest is the fact that this printed material pre-dates the very first printed book in America. 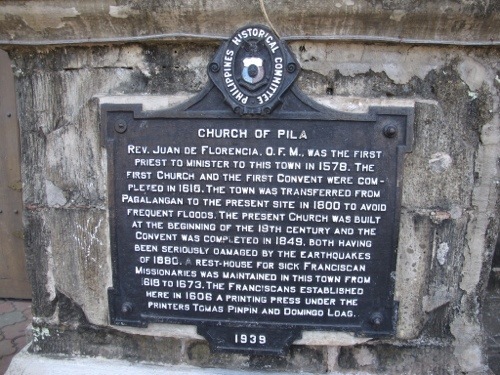 Truly, Pila has so much to be proud of! Several scenes from the Amazing Race were shot here. Of late, the teleserye “Be Careful With My Heart” likewise shoots scenes here for this big TV series hit. 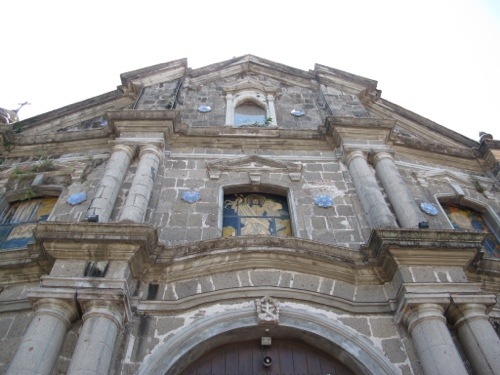 In particular, the “San Nicolas” hometown of the leading character “Maya” is actually this quaint town of Pila, Laguna. 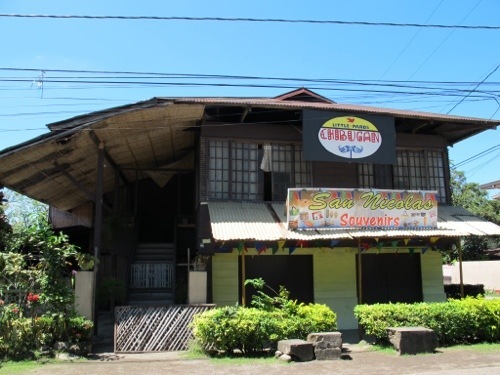 Just off a corner from the Plaza is “Pards Chibugan” — the local eatery business ran by Maya’s family. For sure, these put Pila back on the map as many locals visit the place for its TV or teleserye value.